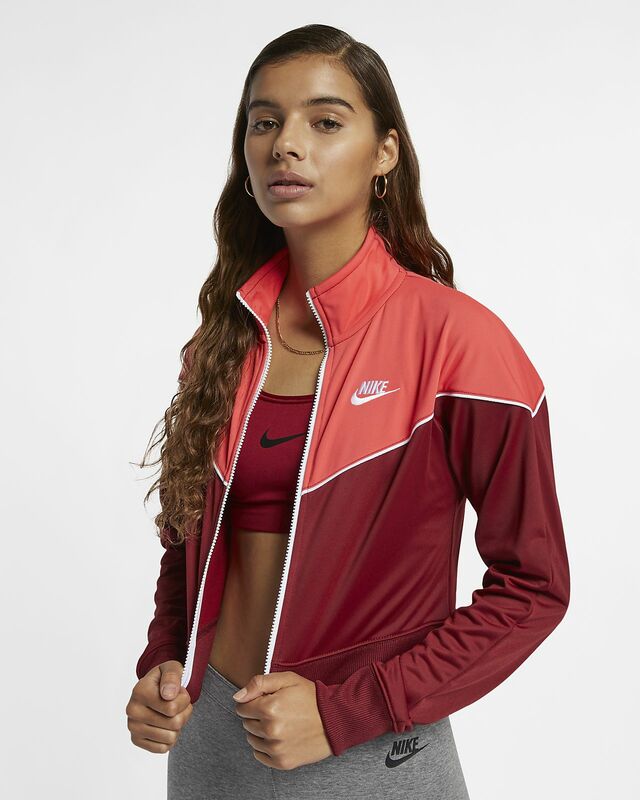 Make it memorable in the Nike Sportswear Windrunner Jacket, a timeless staple that lines you up in soft knit fabric. A chevron design throws it back to Windrunner style. Knit tricot fabric is smooth and stretchy. A chevron design and color blocks throw it back to the 1978 Windrunner Jacket.